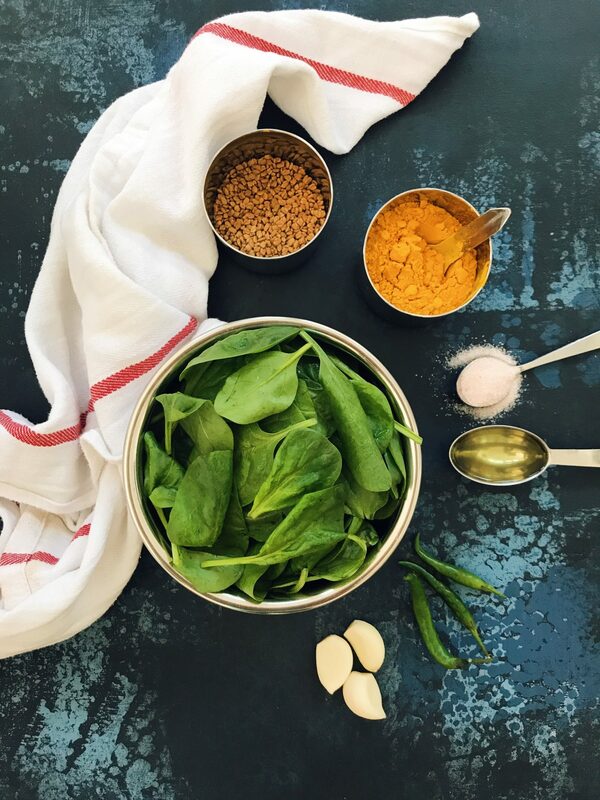 This is a super simple spinach curry recipe and takes no time to make. Full of goodness, spinach is low in fat and even lower in cholesterol. In a nutshell it’s a superfood loaded with tons of nutrients – rich in Zinc, Iron and multiple other vitamins and minerals, Popeye was definitely on to something. Worthwhile noting that spinach shrivels down A LOT when cooked, so what may seem like a large quantity ends up being quite a small portion in the end. The type of spinach you use will also make a difference to the taste and texture of the curry. 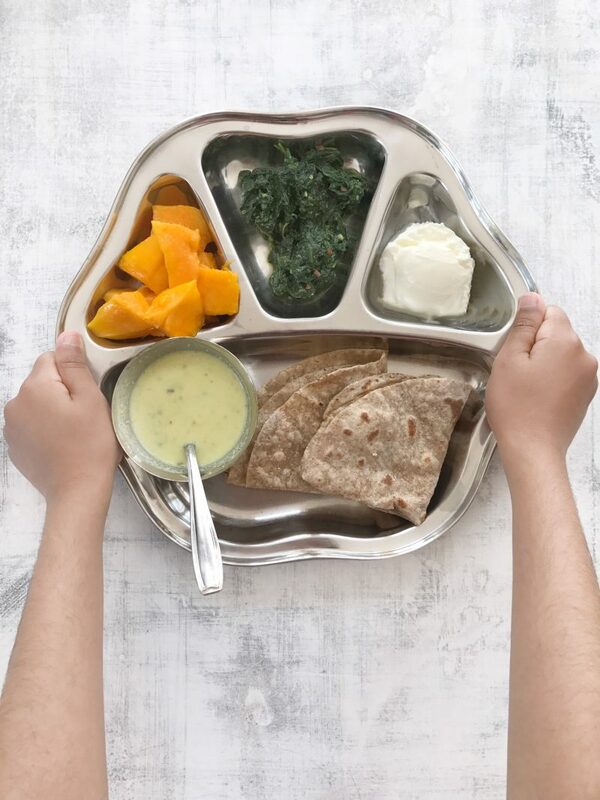 My mum would generally use Indian Spinach which she gets from the Indian grocery shop. It is tougher and has a bigger leaf however I just use supermarket bagged spinach. if you can get the real deal then use that, if not then just use supermarket variety. 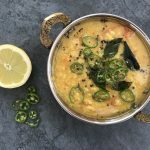 The main spice used to flavour the oil in this dish is fenugreek seeds which can easily be bought from the supermarket. Wash and roughly dry your spinach. Once oil is heated add your fenugreek seeds to the oil, they will sizzle and turn a light brown (don’t over heat otherwise you will burn the fenugreek seeds and they will taste very bitter). Once the seeds are a light brown in colour and you can smell the aroma add your chopped spinach. Cover your pan with lid and cook on low heat whilst you prepare your spices. Whilst the spinach is cooking blitz, grate or chop you garlic and chilli. Once the spinach has wilted and cooked down (approx. 3-5 mins) add the rest of the ingredients - salt, turmeric, garlic and chilli and mix through the spinach. 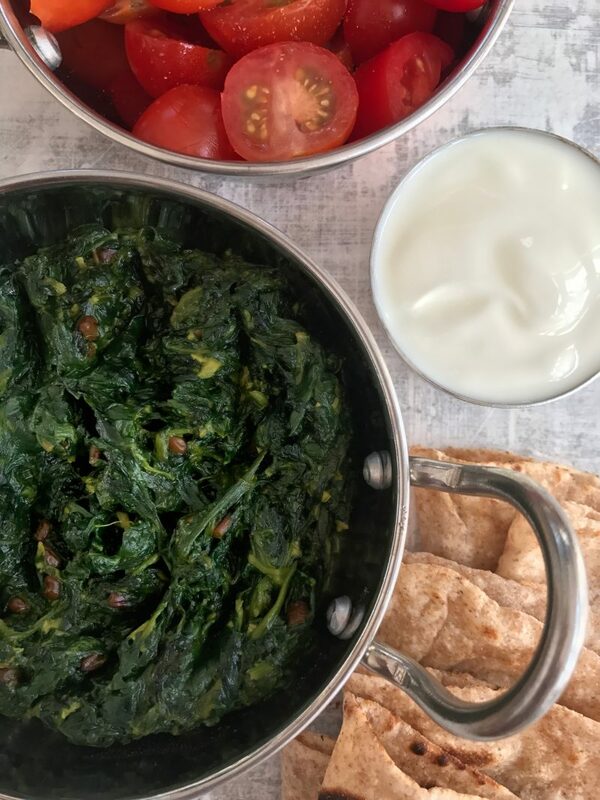 There will be lots of water released from the spinach so take the lid off the pan and turn the heat up a little allowing the water to evaporate, leaving you with a dark green, dry spinach curry. This is best eaten with a dollop of natural yogurt, chapatis and a popadom. As always chillies are optional. To make it easier to deal with the spinach, if you have bags of washed spinach, stick in freezer and as soon as you take out of freezer put a tiny hole in the bag and scrunch up you spinach so it breaks into small pieces, this will save you chopping it.